It's starting to look like that time of the year again. People are frantic trying to find the perfect spots to party in Fort Lauderdale this spring break and, lucky for you, we've got you covered. Spring break is all about having fun with your friends, so heading out to a place with great food, drinks, and, most importantly, atmosphere is key. 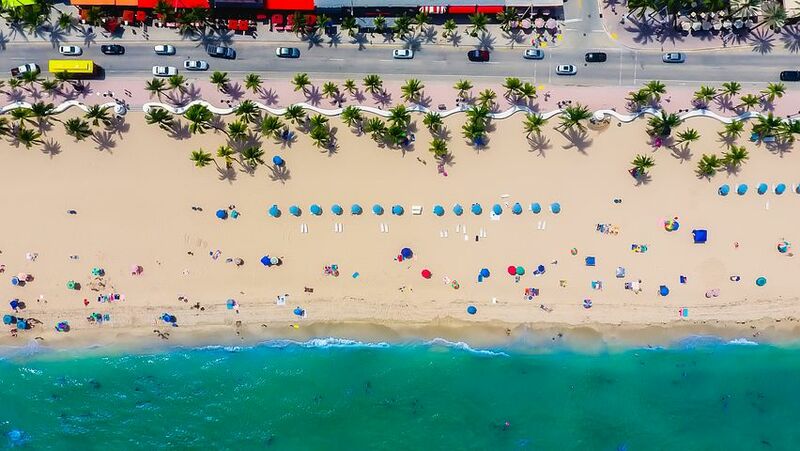 Fort Lauderdale has a variety of options from night clubs to chill bars and everything in between- the possibilities are endless, but we've narrowed down the best of the best on our list of top ten bars and clubs for spring break in Fort Lauderdale. America's Backyard is a Fort Lauderdale favorite, throwing the best parties with the best drink specials like their Jägermeister Ice Cold Shots served at -18 degrees Celsius. On March 22, they're having a huge Wanee Block Party with performances by The Marcus King Band, North Mississippi Allstars, and more! If it's something a little more upscale you and your posse are searching for, Blue Martini is the place to go. With more than 42 martini options to choose from, live entertainment, and DJ sets, you'll never want to leave this enticing place. If it's a real party you're looking for, McSorley's Beach Pub is throwing a huge Sunday Funday on March 3 with more than a dozen artists and DJs from 4 p.m. to 2 a.m. Looking for even more bars and clubs in Fort Lauderdale? Register on 954area and connect to everything Fort Lauderdale has to offer.